Yesterday I discussed work for hire writing, with some reasons writers might want to try it. Now let’s look at some more specific pros and cons, and how to get started. You certainly face some specific challenges with WFH, though no more or worse than with other kinds of writing. While the work often allows a lot of creative freedom, ultimately you have to meet a publisher’s strict guidelines. This can include targeting an exact length and reading level, as well as including specific material and writing in a certain tone. In some cases, you may see your work changed in ways you don’t like. You can use a pen name, but you can’t refuse to make changes. On the other hand, sometimes the work will be published without your name, and in a few situations you may not even be allowed to talk about the projects. Finally, WFH requires the ability to meet tight deadlines. Writers often have only a few weeks for shorter projects, and a few months for novel-length work. Although this can be intimidating, in the long run it’s an advantage – you’re working for income, and tight deadlines mean you can’t let the project drag out for too long. All right, how do I start? Many WFH jobs start with a resume and writing sample. Because individual titles must fit perfectly with the overall series, writers may be asked to write a sample specific to that series, maybe based on an outline. Networking also plays a part. Some editors will look for potential writers at conferences, and I’ve gotten leads from other writers on listservs. Breaking in can be a challenge. You can send resumes and writing samples to companies that use WFH writers. This is the typical process for educational writing. Be patient – it sometimes takes years to hear back. Once you get in, a good first job can lead to steady work. Some writers do multiple books a year for a single publisher, making tens of thousands of dollars annually. Several online companies, including Scripted and Elance, help connect writers with clients. They may offer jobs in a variety of topic areas. In the beginning, you may have to bid on lots of jobs and take a very low payment while you build up good ratings. Once you’ve proven yourself, you can raise your rates. Carol North suggests Googling “agencies for contract writers” to find companies that handle business, technical, marketing, and advertising writers. Work for hire isn't for everyone. Some people may find it easier to hold a full-time job than to run their own business. Some may have enough income from investments, retirement, or a supportive spouse, so that they can focus solely on their own fiction. A few may find it more lucrative to simply do fiction, so any WFH is merely a distraction. 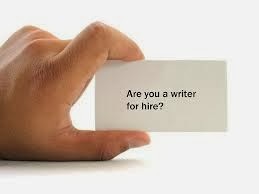 However, for many of us, work for hire can help pay the bills while allowing enough time for our own projects, as we wait to get rich and famous on fiction alone. Honestly, there’s nothing to be afraid of. I hope work for hire doesn't seem quite so scary anymore. Have you tried it? Would you consider it? Why or why not? Feel free to post questions in the comments. 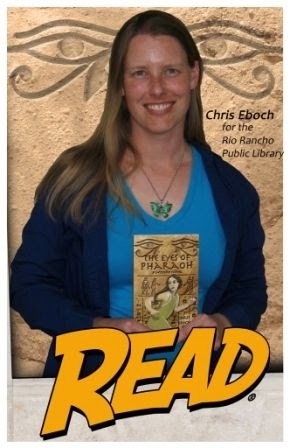 Kris Bock writes for children under the name Chris Eboch. Her book Advanced Plotting helps writers fine-tune their plots. Check out her writing tips at her Write Like a Pro! blog. Also connect at her website and Amazon author page for loads more information. I love the specifics of how to get started and reasons to and not to do WFH. Realistically, some of us may be ill-suited to this kind of work, while others may jump at the chance for steady income that allows them to keep their writing skills honed. I'm probably happier doing my little editing jobs because I enjoy working directly with other writers and encouraging them to hone their craft until it shines in the form of powerful books (fiction or nonfiction). Were I younger and hungrier, however, I might give this serious consideration. Thank you for sharing an opportunity that may not occur to a lot of writers who are still waiting in that "rich and famous" line. You're welcome. I do paid critiques as well (I call this a critique service rather than editing service, because I comment on big picture items like plot and character arc, and offer style advice but don't do line editing or proofreading). I enjoy the variety I get between articles, WFH educational books, critiquing, giving workshops… And of course my own fiction. But then I also switched from writing for children to writing for adults, because writing for kids was getting a little too "easy." So for me, lots of variety and new challenges are good. When I did a number of short nonfiction books for Rosen Publishing, I liked the fact that they gave me specifics of what they wanted handled. It was like someone else putting the outline together and I just had to do the research and write it all up. It was the same with the PR work I did. The clients knew what they wanted in the written material, and it was my job to organize it and present it. That made it easier to meet those short deadlines. I was lucky, too, that I got to put my name on the books. This has been a great two-part series, Kris. Thanks. I'm glad you liked it. I also appreciate the guidelines from WFH publishers, for the same reasons – it saves me time and takes some of the decisions out of my hands. I can save more of my creative energy for my own projects, while the nonfiction is creative and fun in its way, but is mentally and emotionally easier. I have friends that earn money from freelancing. For one, it is "extra" income. For another it is her living. It can be done, but it is hard work and it takes time and dedication. Sadly, I think a lot of people look at writing as an alternate lottery rather than a calling. Those writers are usually disappointed. I'm certainly still waiting for the "rich and famous" part! Writing is definitely hard work, and any kind of working from home requires discipline. For me, it's much better than an office job, but some people prefer the socialization and structure/guidance of working full-time for someone else.It's important to recognize what we need as individuals and not chase impossible fantasies or even realistic dreams that wouldn't work for us. Diana, you couldn't have said it better: "... an alternate lottery rather than a calling." Or even think of writing as just a JOB! A job you're happy doing for the long run is okay. I think that's healthier psychologically than chasing some elusive carrot all your life and not paying attention to the journey. I wrote four WFH books. Three have my name on them. All four subjects were really interesting, but each required a lot of research and interviewing, as well as traveling. And each had a three-month turnaround. It was good experience, but I declined writing a fifth book. By that time, I really wanted to go back to my own books. That's right - I remember that now, Hel. And vaguely remember thinking the subjects weren't particularly what I'd connect with you. Spill! Something mechanical? I've somehow become a science writer, despite no background in science (I didn't even take high school chemistry or physics). In fact I'm doing a book now on mechanical engineering. But I find it interesting, so long as I'm writing at a 10th grade level or below. It is important to track the time you spend on these bigger projects, though, and make sure your hourly rate is satisfactory. We have a resident ghost here, and I wonder if you could comment, Kris, on how you feel ghostwriting differs from work for hire. Maybe Kim will jump in with her 2 farthings too. You have a ghost! Oh, that kind of ghost. I consider ghostwriting a subcategory of work for hire. The main difference is you likely won't have your name on the book and may not be able to tell people about it. I ghost wrote a book in a children's series, and people are always impressed, but I can only really talk about it when I'm giving writing workshops. It paid a flat fee, about the same as some other work I've done of a similar length. It was fun, but you have to put aside your ego. Besides not being identified as the author, they may change things without even telling you. Kris, I enjoyed reading your blog about WFH. Thanks for the tips today. I mentioned on FB that I wrote one WFH book for an educational company (Walch) and then I regretted it because I felt that I compromised my beliefs that writers should be paid fairly. I believe that company is still selling the book. At this point, I have ambivalent feelings about WFH. Would I do it again? Maybe, if the right job comes along. Thanks for the interesting post. Fair payment is important. The question is, what is fair? For WFH, I estimate an hourly rate and if I'm satisfied with the rate, I take the job. The rate may change depending on how interesting the project is, whether it will help my resume or lead to more work, and how desperately I need money at that time. Once I'm paid for a job, though, I don't look back. In any case, most of the WFH I do is in educational publishing, and I expect the publishers know pretty well how many copies they are going to sell. It's not like there's going to be a surprise breakout book. I especially like the way you broke down the pros and cons at the end, Kris. I feel that if a writer were waffling, it would end there, as s/he would identify with one camp or the other. Thanks for being here and sharing your expertise! Thanks to everyone who stopped by, especially those who commented! What a great, lively discussion.